What's more adventurous than soaring high up in the sky, up to 10,000 feet in the air? 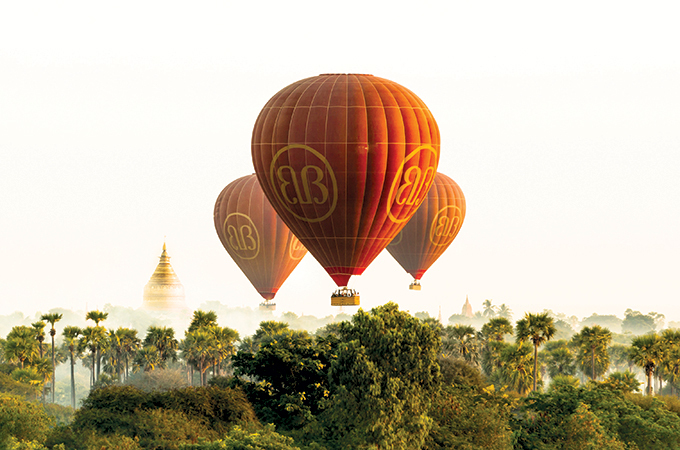 One of Myanmar’s most iconic and recognisable tours, Balloons Over Bagan, set sail for new horizons last month with the launch of a new hot-air balloon flight in the remote ethnic region of Kayah State. Balloon Safaris Loikaw (previously known as Balloons Over Loikaw) becomes the fourth option in the arsenal of this enterprising adventure tour operator, following successes in Bagan, Inle Lake and a two-day “balloon safari” in Shan State. Somewhat off the beaten track for most visitors, Loikaw is situated on a 3,000-foot plateau in eastern Myanmar and is surrounded by mountains and rice paddies. It is home to no less than 10 ethnic groups including the Kayan, whose “long-necked” women are famed for the brass coils around their necks and colourful traditional costumes. Flights cost $300 per person. Private charters for groups up to eight persons can also be requested.